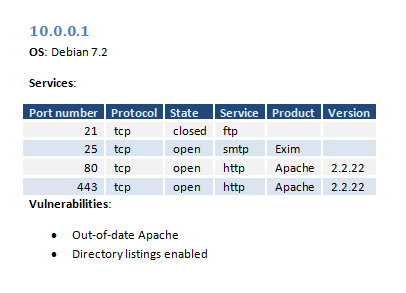 Ever wished you could output a table with account / URL information in the Scope section, or a table listing all ports and services on a host? Wish no more! Use custom Word table styles to create beautiful tables in your reports from the tabular data in your notes. The Dradis reporting engine translates these Textile tables into Word tables. 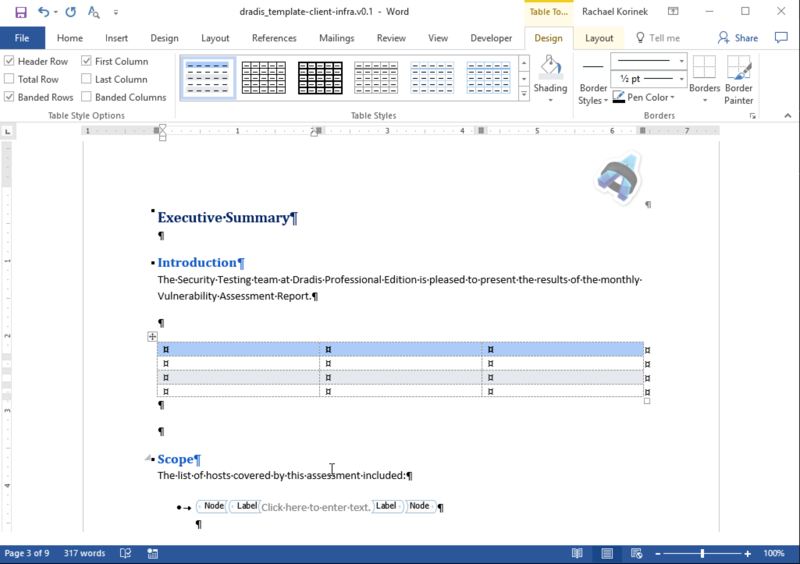 Unless you apply a custom table style within Dradis, the tables you create are automatically going to use the Table Grid style defined in your report template. Modify this table style to create a custom table style that applies to all of the tables you create in Dradis. 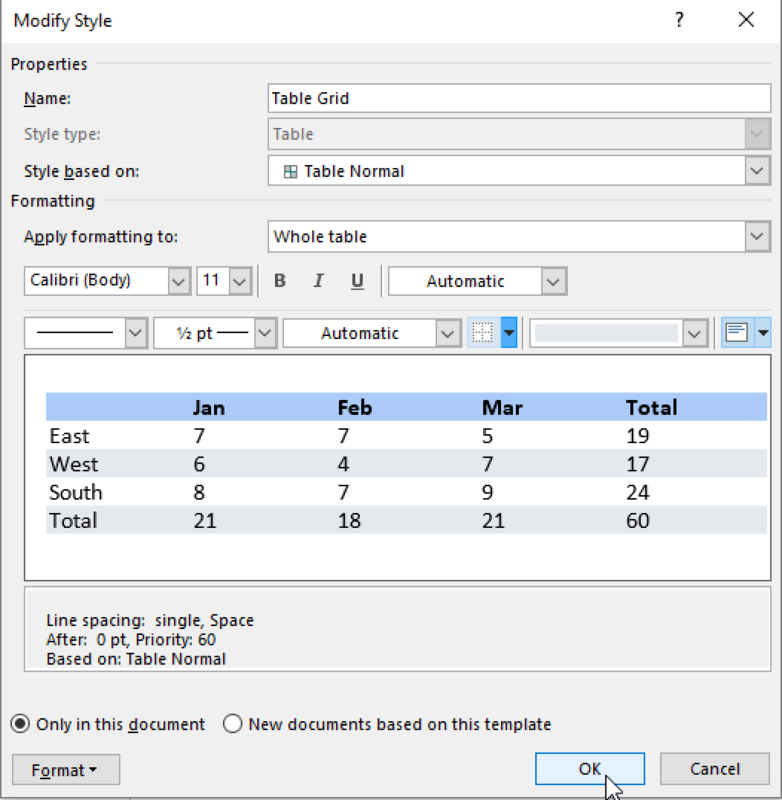 If you want to create a custom table style to apply to just some of the tables you create within Dradis, skip down to Create custom table styles in Word below. 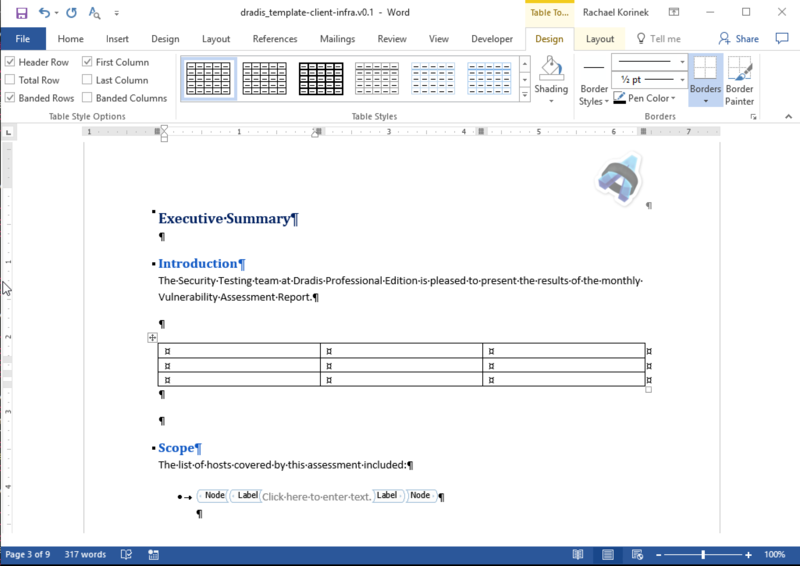 Open your Word report template and use the Insert tab to create a new table in your report template. Make sure your cursor is inside the table you just created. In the header under Table > Design, mouse over the table styles until you find the Table Grid style. Modify the Table Grid style by applying shading, borders, and much more. You will need to manually build your table style from scratch. For more information and resources related to custom table styles, check out Create custom table styles in Word below. Now, when you create a table within Dradis (and don't apply a specific table style), the table will use the new Table Grid style that you modified. You can go ahead and delete the table we've been work with now! 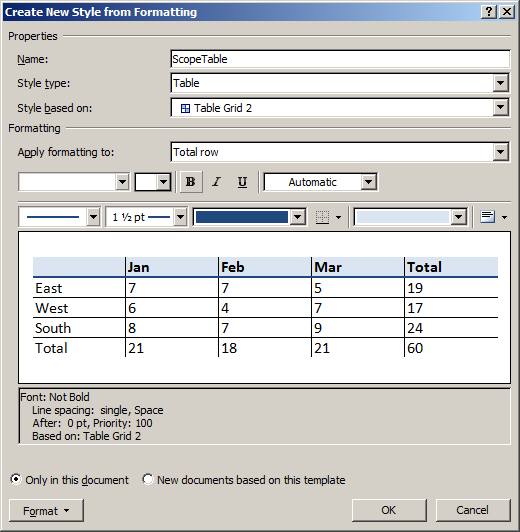 Creating new table styles in Word involves creating the style from scratch. Unlike text and paragraph styles, there is no ‘save as new style’ option. After you've created your new table style, the only thing you need to keep in mind is the name. In our example, our new table style is called ScopeTable. Now all we need to do is tell Dradis to apply this style to our Textile table. The custom tables resource bundle includes a template with a few different table styles plus a sample project that makes use of them. Download the custom tables resource bundle from the user’s portal.